In the world of class actions, few issues are hotter right now than the debate over “ascertainability”—that is, when courts may certify classes whose membership is unclear or difficult to verify. The archetypal case where the ascertainability requirement comes into play is the small-dollar consumer-protection claim involving (say) a grocery store item, where there is no “master list”of purchasers or other documentary evidence of class membership, and where memories of the crucial events are likely to be hazy at best. The Third Circuit is famous for minting a demanding or “heightened”ascertainability test that makes class certification difficult in cases like these. See Carrera v. Bayer, 727 F.3d 300 (3d Cir. 2013). Even as other cir­cuits began to criticize that test, and a vocal minority of the Third Circuit urged its abandonment, that court stuck to its guns. So the class-action world raised an eyebrow when the Third Circuit issued its recent deci­sion in City Select Auto Sales Inc. v. BMW Bank of North America Inc., No. 15-3931, 2017 BL 286478 (3d Cir. Aug. 16, 2017), vacating a trial court ruling that had denied class certification on ascertainability grounds. 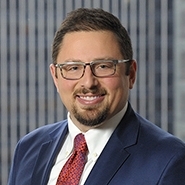 To continue reading Jonah Knobler and Taylor Kirklin's article from Bloomberg BNA’s Class Action Litigation Report, please click here.